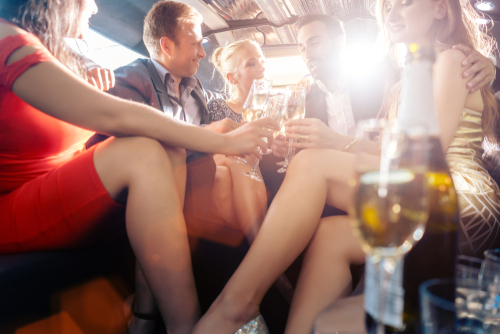 If you want a stylish entry when getting into an event plus the luxurious perks, hiring a limousine is the best way to go. Limousines in Perth promise to make your day extra special as you’ll be transported like a celebrity whenever you attend weddings or trips to Perth Airport. Hiring a limo service is more than a luxury, it is now becoming a necessity for those who want to get on a meeting or the plane on time. It is also highly recommended for people who are retired seniors, disabled, and people with medical conditions who need to attend an important event or needs to go back home from a medical facility. One of the most common issues when hiring a limo service is the pricing. That's why it is very important to research as many details possible, so you will be given the closest and reasonable final cost, and to avoid disputes. You don't want to end up paying the deposit and getting locked-in just because you missed providing sufficient information. ●	While you can ask the rate of the limousine service per hour, remember that it's never the end price. The location, date and time, and the peak season rates all apply to the final cost. ●	Booking in winter months or midweek will be much lesser as compared to booking on Saturdays. ●	Pricing is also influenced by the number of passengers, the type of the desired vehicle, and the duration you'll hire the limo service. For example, a 10-seat capacity Hummer will cost more than a 10-seater traditional limo. If you want to get a quote for limo service in Perth, you can process an online request or contact Allure Limousines for more details. Many businesses in Perth, including limousine companies, struggle to keep up with the demands of consumers because the economy is now at its fast pace. That is why you need to book in advance. If you have a weekend event, at least 3 to 6 months in advance. ●	General transfers. Limousine companies usually allow a waiting time of 10 minutes, so make sure to stick with the time agreed. ●	Airport transfers. The waiting time for domestic flights is 30 minutes after landing. For international flights, the waiting time is 60 minutes. ●	Different flights. The waiting period begins after the initial flight lands. Note: You can always request for a suitable time when booking for a group pickup. 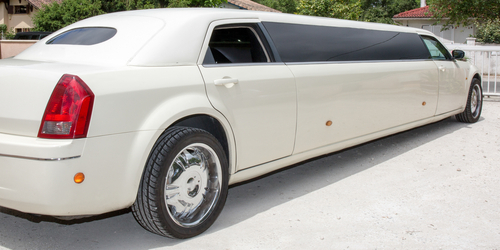 The services of a limousine company dictate whether limo is the best mode of transportation for your needs. Most limo service companies operate 24/7, 365 days a year, so you have a peace of mind if you need an urgent and comfortable ride for whatever reason. That's why a limo is the most convenient mode of transportation in Perth today. ●	Generally, passengers are allowed to drink and eat inside the limousines. However, alcohol should be consumed in stretch limousines. ●	Smoking is generally not permitted. You may also inquire if the limo service company allows vaping. ●	Drinks are complimentary for specific promotions and weddings. Otherwise, you'll need to pre-arrange alcohol or other beverages when booking. ●	Limo services should include car rental insurance for you and your chauffeur’s safety and protection. ●	Sedans and limousines may not fit lots of luggage, so you need to inform the company if you need extra help. Many limo services offer assistance without extra charge. ●	There are also limo companies that can accommodate passengers who need wheelchair assistance. ●	It is best to make a full payment for a secured booking. Payments accepted by limo companies include credit card, EFT, check, EFT, or cash. ●	Tips are always voluntary. You can do it personally, or you can add it to the invoice. If you want a comfortable, luxurious, and unique travel experience for any purpose, you can entrust a limousine as your primary transportation in Perth. Many people have already experienced the pleasure and convenience of limo services, so don't miss enjoying yours. The pricing, date and time, event, and limo services are all important considerations when hiring the right limousine company to cater to your needs.